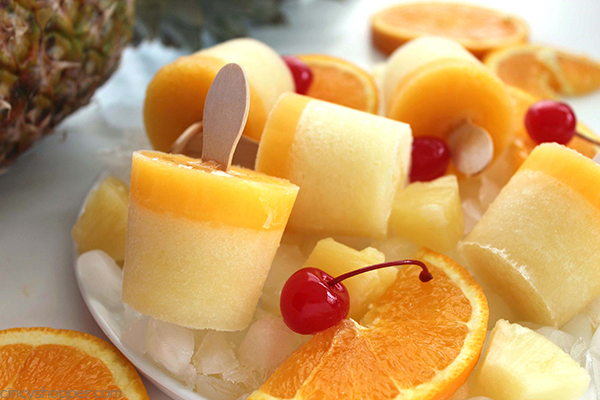 These Pineapple Orange Pops make for the perfect summer cold treat. 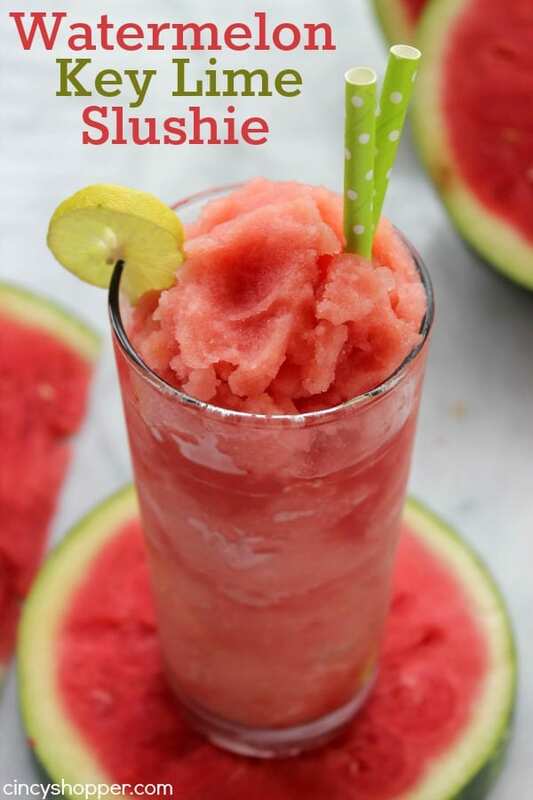 Healthy, refreshing, fun, and tasty! During the summer months, we are cold treat fanatics. My kids love Popsicles and ice cream, anything cold and sweet, ha ha. 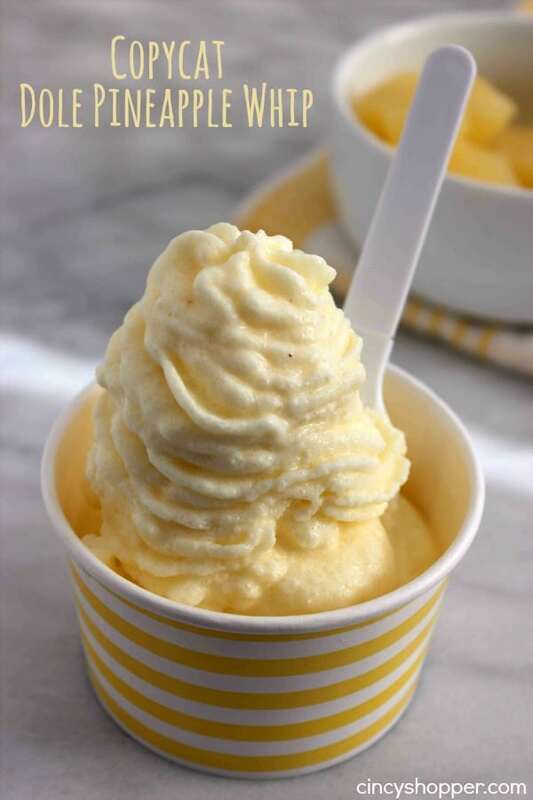 One of their favorite summertime treats is my Pineapple Dole Whip. We had a nice run of hot weather here in Cincinnati this past week. The first hot day, I had myself a mission…Homemade Popsicles. 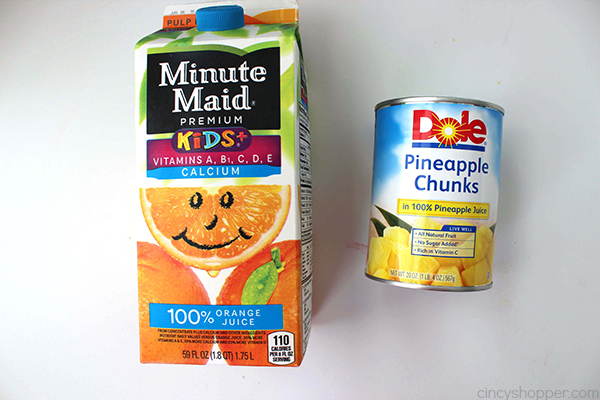 Since I had Pineapple chunks and some orange juice on hand, that was our flavor duo. 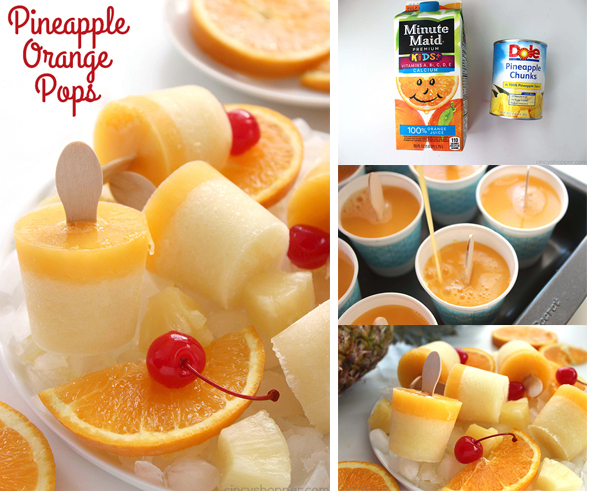 Pineapple and orange together make for an AMAZING cold pop. Plus, they are super simple to make. 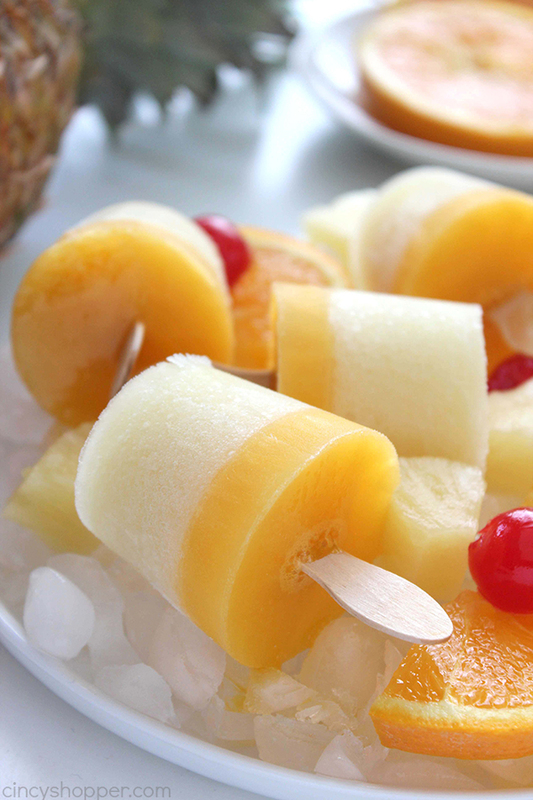 Great for a pool party or any hot summer day treat. It’s always fun to find what you have on hand to make a new recipe creation. 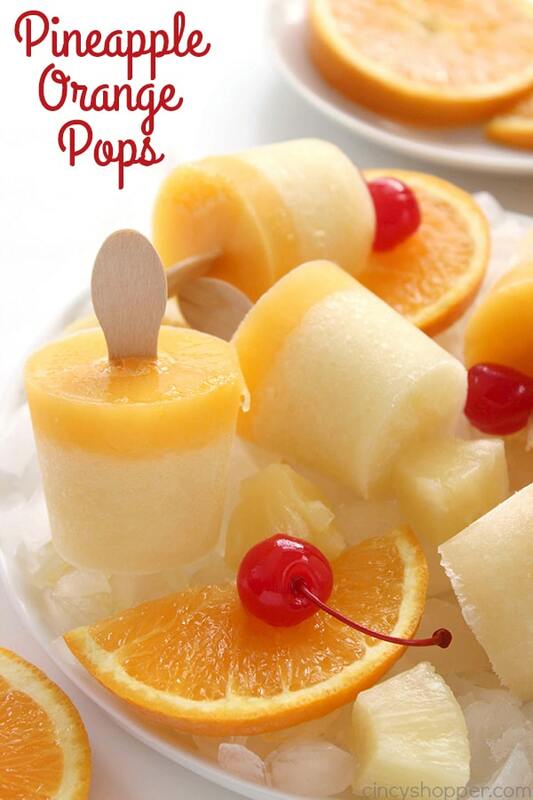 Cold pops can be made with so many different ingredients. We will quite often combine a couple different flavors together like the Watermelon Kiwi Pops I shared on my other blog last year. For our Pineapple Orange Pops, I used a can of pineapple chunks and some orange juice. I considered adding in some honey or sugar but they were perfect without any additional sweetener. I used paper cups and small wooden pop sticks. You could use this same recipe in your pop makers too! 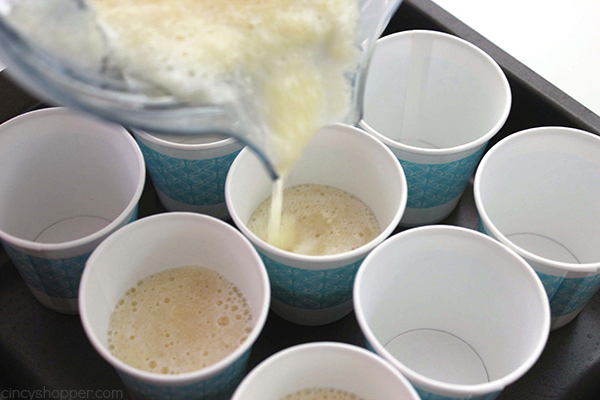 Set 12 3 oz disposable cups in a small pan or tray. 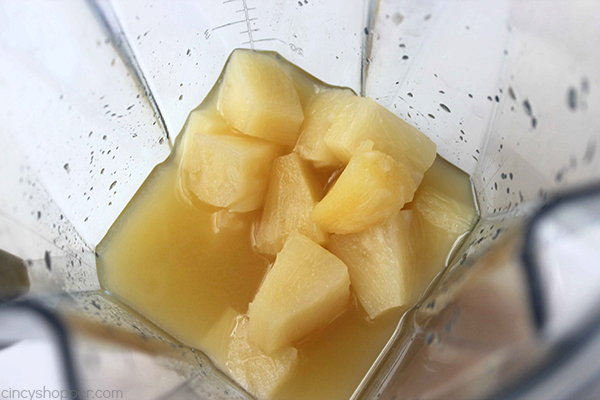 Put pineapple with pineapple juice in blender and pulse until nearly liquid. Pour into cups filling between 1/2 and 2/3 full. Place in freezer for 30-45 minutes. 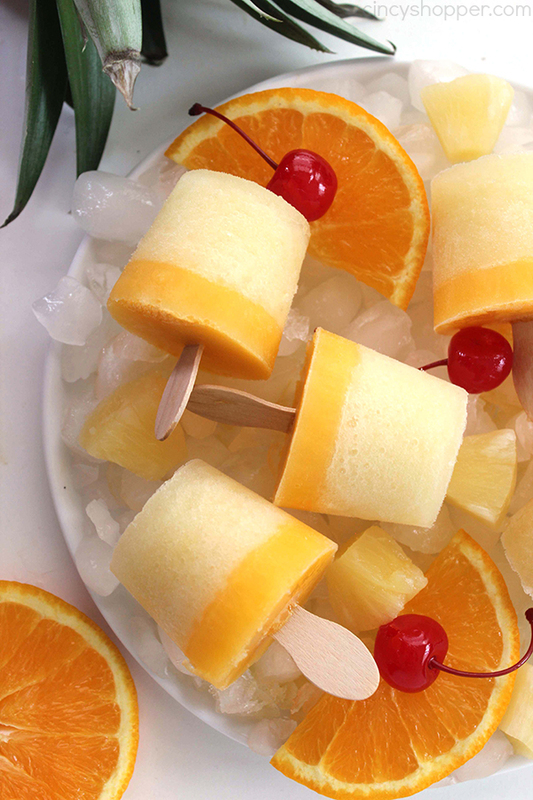 Insert wooden sticks in partially frozen pineapple and return to freezer for 1-2 hours. Fill remainder of cup with orange juice and return to freezer for 1-2 hours or frozen. 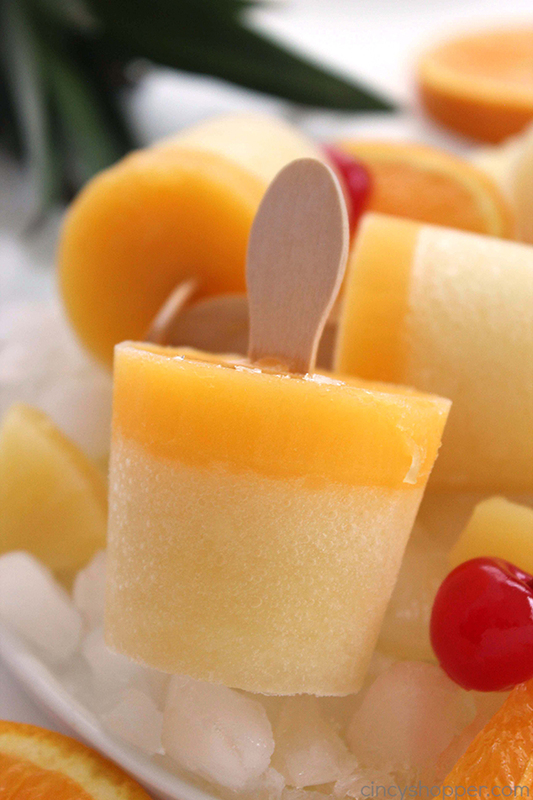 Do you have a favorite cold summer treat? Looking for other cold summer treats? Be sure to see these other recipes that I have shared…. What a delicious easy treat! I love pineapple and orange. Sounds perfect for a hot summer day. These look perfect for summer! Thanks for sharing at Merry Monday! Oh wow, those would taste great! They’re adorable looking too and just the perfect size! Thanks for linking up with Delicious Dishes Recipe Party! Those look so good! I can’t wait to make them this summer! 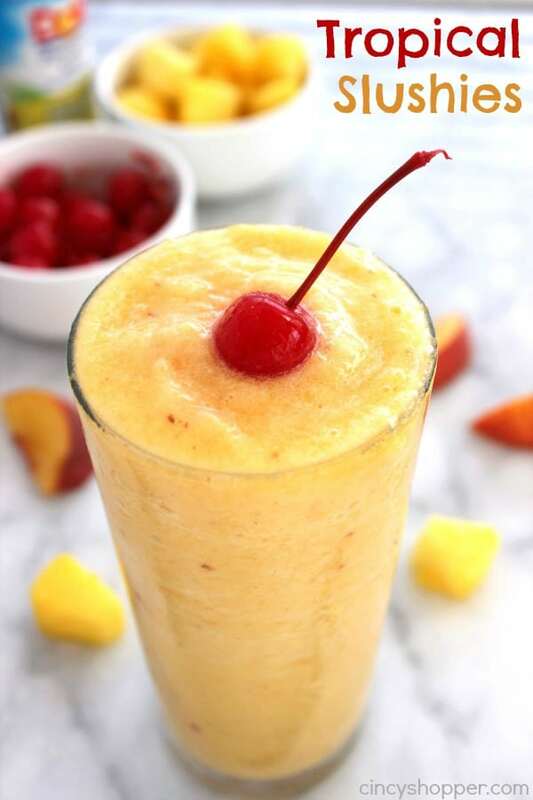 It’s already hot at my house – these look so refreshing! These look so good! 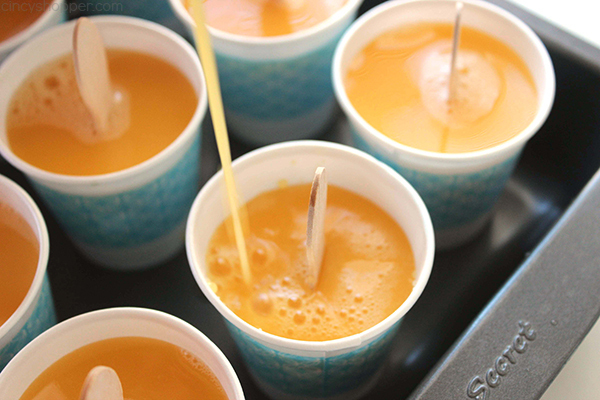 How smart to do them in little cups! No need for a fancy Popsicle maker! What a simple, delicious recipe. And healthy, too! We will have to try these once the weather finally warms up! Thanks for sharing. Another tasty sounding sweet treat and super easy too! Thank you for sharing with us at Funtastic Friday!